Peshawar, Board of Intermediate and Secondary Education Peshawar will manage the Peshawar Board FA/FSc class annual exams 2018 from 20 April 2018. BISE Peshawar received the application forms from the inter class students and now Peshawar Board has made complete arrangements for the Peshawar Board intermediate class annual exams 2018. The last paper of BISE Peshawar 11th and 12th classes will be held on 12 May 2018 and the students will find the complete detail of their papers from BISE Peshawar HSSC class date sheet 2018, which is given online for the facility of the candidates. 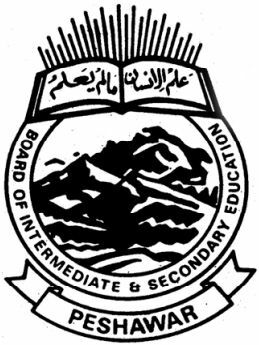 Peshawar Board inter part 1 & 2 papers will be conducted in first and second time as the first time papers will be commenced from 09:00 am while the second time paper will be conducted from 02:00 pm and each paper has the duration of 3 hours. The practical papers of the class XI & XII will be started after the written exams and students should note the date and time of their papers.